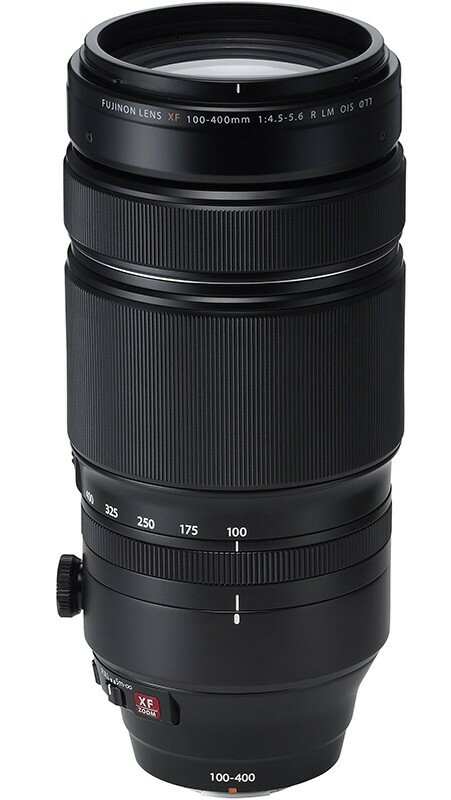 A weather resistant super-telephoto zoom lens, the XF 100-400mm f/4.5-5.6 R LM OIS WR Lens is designed for Fujifilm X-series mirrorless cameras and is ideal for sports and wildlife. 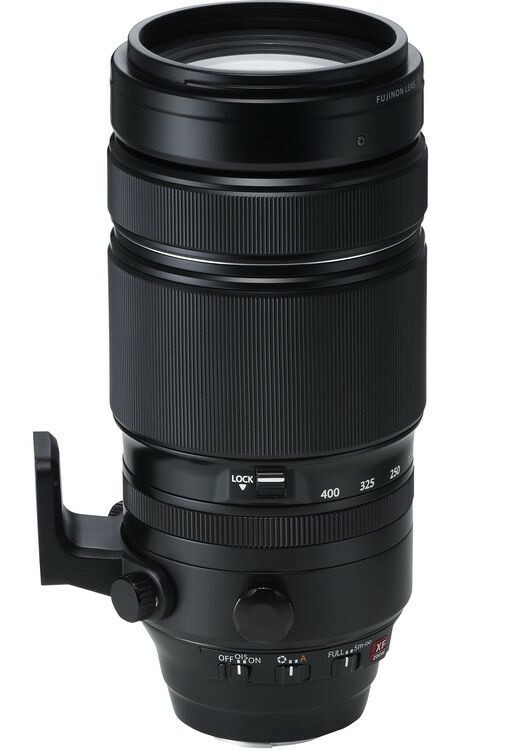 Features 5 stop Image Stabilisation, so hand held shooting even at 400mm is possible. Includes Fujifilm FUJINON Teleconverter XF1.4X TC WR. The optical construction of 21 elements in 14 groups, which includes five ED lenses and a Super ED lens, delivers results comparable to a fluorite lens, and by reducing axial chromatic aberration it produces images packed with detail. 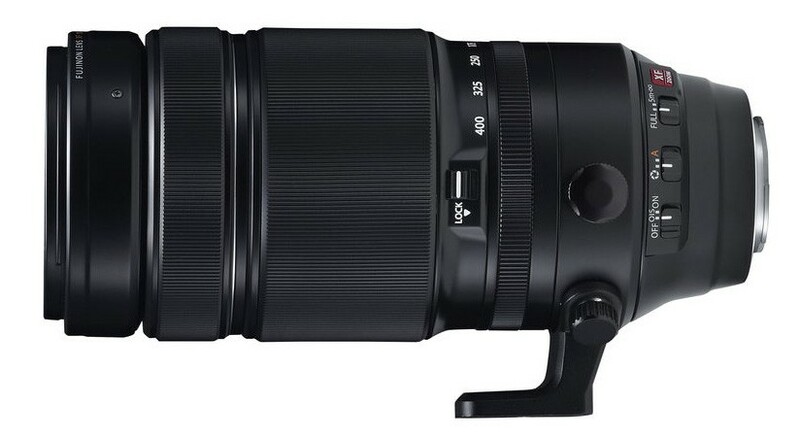 The maximum magnification is 0.19x, enabling users to shoot telephoto macro images. A 5.0-stop image stabilization system — the most powerful in any super telephoto zoom lens — produces shake-free results even at the maximum telephoto setting of 609mm (35mm format equivalent). Also, if panning is detected, the lens automatically switches camera shake correction to the vertical plane only. Twin linear motors are used to deliver fast focusing on moving subjects. The motors are also quiet, so the lens is ideal for shooting live music performances and theatre productions. Even faster AF shooting is possible with the focus limiter function, which limits the close focusing point to 5m.. The lens features 13 water and dust resistant seals at 12 points, allowing you to shoot with confidence in tough outdoor environments. The fluorine coating applied to the front lens element is water repellent so it’s less susceptible to smudges and can easily be cleaned. The lens hood features a sliding window so a polarizing filter can still be accessed even when the hood is in place.The hood also features a locking mechanism to keep securely attached to the lens.